What is HCG? 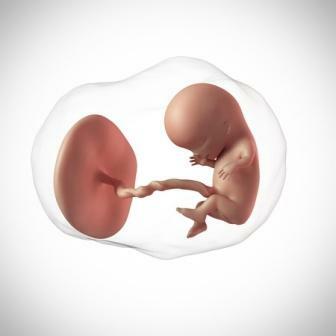 Human Chorionic Gonadotropin is a hormone that is secreted by the cells surrounding the embryo which will go on to form the placenta. This hormone can be detected in the blood and urine. The most common use of HCG test is to confirm whether a woman is pregnant or not. 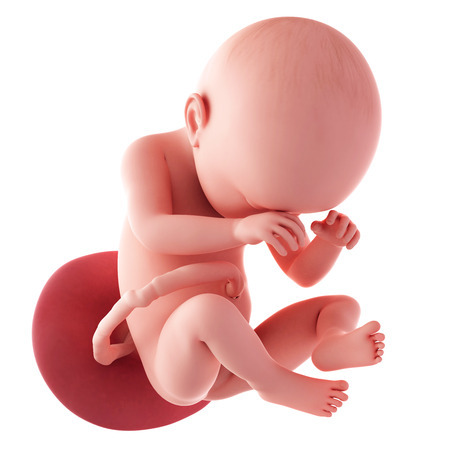 It is also used as a screening test to rule out birth defects in the growing fetus. Abnormal conditions like hydatidiform mole and uterine tumors (choriocarcinoma) secrete HCG. In these cases, HCG test is used as a diagnostic tool in non-pregnant ladies. Around the 14th day of the menstrual cycle, ovulation takes place and the egg is released from the ovary. It travels through the Fallopian tube and reaches the uterus. The ovarian follicle from which the egg was released, forms the corpus luteum which secretes a hormone progesterone. Within the next two weeks if the egg is not fertilized then the pituitary hormones FSH and LH come into picture and the menstrual cycle is initiated. Following this the corpus luteum gradually regresses in size and the cycle continues. In case the egg is fertilized around the time of ovulation, it becomes very important for the corpus luteum to continue producing progesterone till the placenta is fully developed to take over this function. Absence of progesterone will lead to the onset of menstrual bleeding and the pregnancy will get terminated. After fertilization, the embryonic cells secrete HCG hormone which ensures that the corpus luteum continues to produce progesterone and sustain the pregnancy. Thus playing a vital role in maintaining early pregnancy. 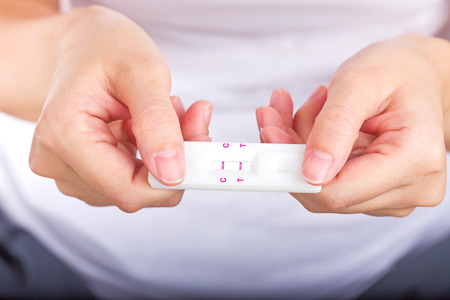 Human Chorionic Gonadotropin hormone can be detected in the blood 6-12 days after fertilization takes place and is one of the very early signs of pregnancy which is later known through the home pregnancy tests. HCG levels rise steadily and peak around the 14th week from your LMP (last menstrual period) and then begin to decrease gradually. 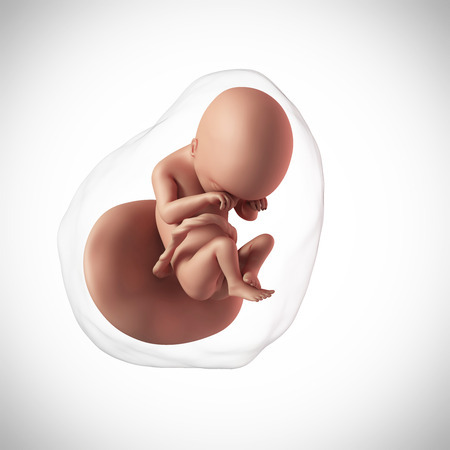 By this time the placenta is fully formed and takes over the function of sustaining and nourishing the fetus. The early symptoms of pregnancy like nausea and vomiting are mainly due to the presence of this hormone. HCG completely disappears from the blood after your delivery. 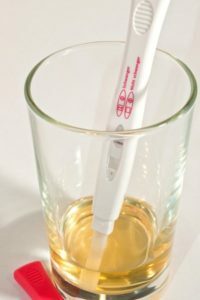 Blood HCG tests (blood test for pregnancy) are quantitative tests and they are done by testing the blood drawn from your vein using a syringe in a laboratory. These tests can detect beta HCG as low as 5 mIU/ml and give the exact levels of HCG concentration. A series of blood tests done over a few weeks will give a better idea of the rising HCG levels rather than a single test. The pattern of increase is useful in diagnosing many abnormal conditions. The interpretation of this test is as follows. In pregnant women the levels will be between 5-50 mIU/ml in the 3rd week after LMP. If the pregnancy is advancing normally, the HCG levels with steadily rise every 48 hours. If the fertilized egg has implanted outside the uterus as in cases of ectopic pregnancy, or a spontaneous miscarriage, the urine test will be positive but b-HCG levels will be lower than normal. Human Chorionic Gonadotropin levels are higher in multiple pregnancies (twins or triplets) or if you have miscalculated your LMP (pregnancy is further advanced than calculated). High HCG levels are also seen in molar pregnancies or tumors like choriocarcinoma. Another very important use of HCG is as part of the triple marker test (AFP, HCG and Estriol) which is a screening test for chromosomal anomalies normally carried out between 11-15 weeks of pregnancy. The results of these tests along with the NT scan (nuchal translucency ultrasound) and the age of the mother are fairly accurate in assessing the risk of chromosomal diseases like Down’s syndrome in the growing fetus.